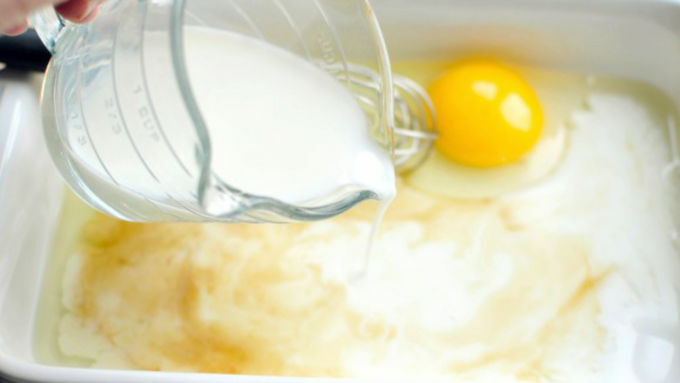 In a shallow dish combine the two eggs, kosher salt, vanilla and whole milk. Whisk until thoroughly combined. 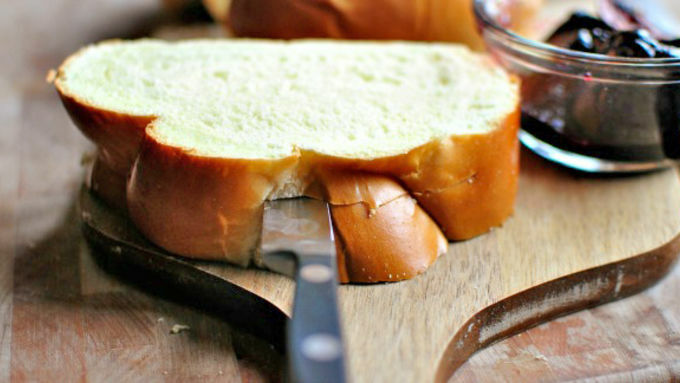 Using a paring knife, carefully make an inch or so incision in the tops of each slice to create a pocket. 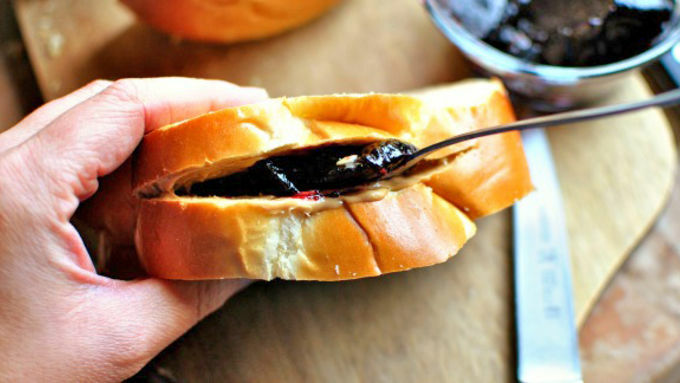 Smear the insides of the pockets with peanut butter and jelly, using more or less as desired. 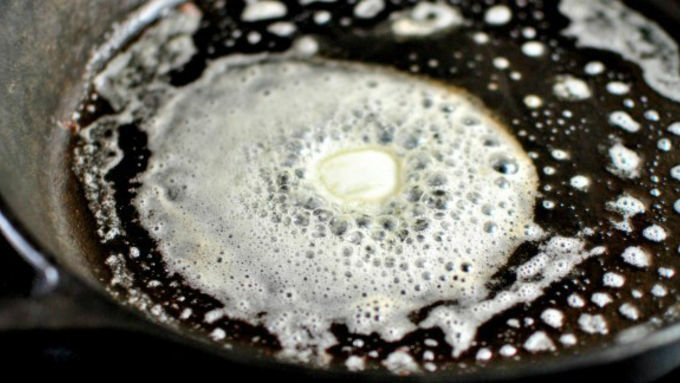 In a skillet or on a griddle pan, melt a tablespoon of butter. Dip both sides of the stuffed French toast in the egg mixture and place in the hot buttered skillet. Cook until golden, flip and repeat with the remaining stuffed slices. 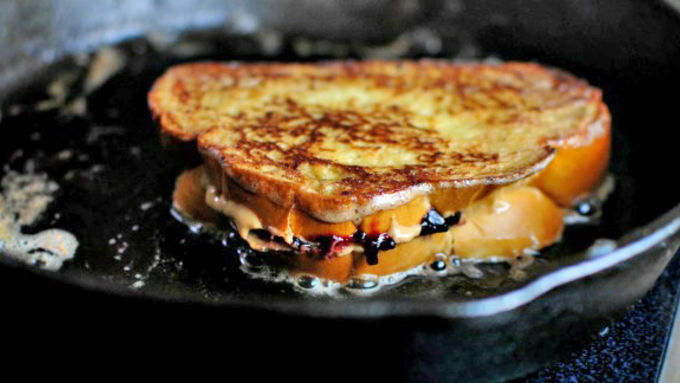 Serve with butter and maple syrup for French toast, or simply by themselves as a grilled PB & J sandwich. 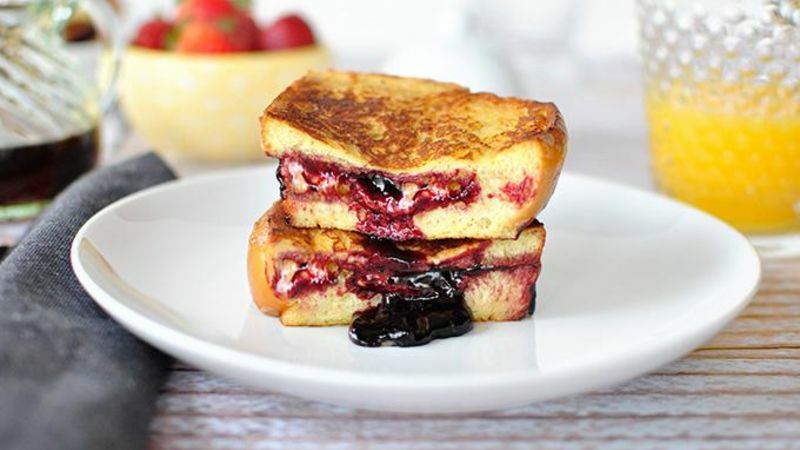 Take French toast to a new level by stuffing it with peanut butter and jelly! Is your inner child cheering like my inner child is cheering with these? As a kid I frequently requested PB & J for lunch ... like every day. I actually still eat it quite often. And French toast? Another fave. So here they are. All grown up and married. What a pair! The options are pretty endless here. Go crunchy or smooth. Strawberry, grape or my personal favorite: Black raspberry jam. It’s simple to customize these to personal preferences and everyone will be happy when the PB & J inside the slices get all melty. Mmm. 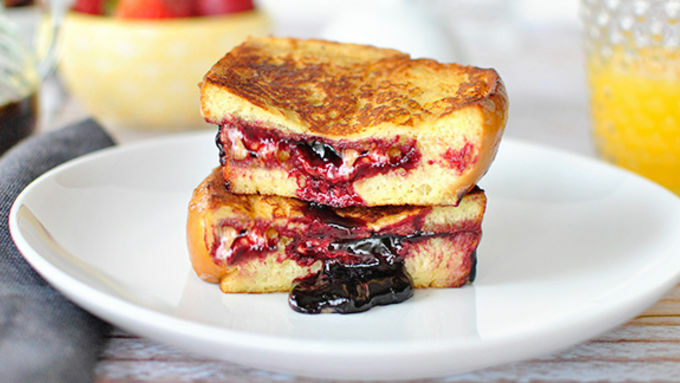 Cut in half and serve with melted butter and maple syrup for a French toast breakfast, or simply by themselves for a grilled PB & J sammy treat!